Even if you don’t know Dr. Martyn Lloyd Jones (1899-1981) you likely do know some of the people praising him in this documentary. The list includes John MacArthur, Iain Murray, Kevin DeYoung, Sinclair Ferguson, and RC Sproul, who say of him: “I believe that Lloyd Jones was to twentieth century Britain what Charles Spurgeon was to the nineteenth century.” Like Spurgeon, this was a man God used to stir up Britain. The joy in watching this documentary is to see what God did, and how He acted through this servant. Another good quote from one of the interviewees highlighted how very different Lloyd Jones was from the pastors of his time and many of the celebrity pastors of our own. …he wasn’t at all seeker-friendly. In fact he was seeker-unfriendly, because he felt that a non-Christian ought to be deeply uncomfortable in church. Because you actually want him to be uncomfortable because you need to realize your need for the Gospel. The only caution I would offer is that while Lloyd Jones was generally Reformed, he got some notable matters wrong. For example, his views on baptism differed with those of the denomination he served – he seems to have opposed paedo-baptism, though not loudly. But that is an aside because it is his preaching, and his generally Reformed perspective, that are the focus here. Both my wife and I really enjoyed this very polished production. It comes comes with 2 bonus disks and a small hardback book among the extras. 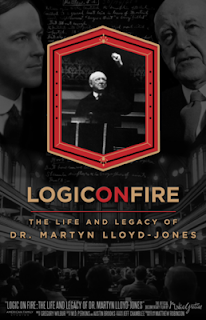 Logic on Fire would make a great gift for any pastor and anyone who enjoys Church history, or documentaries. 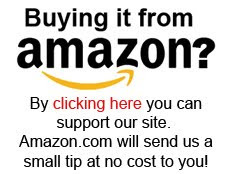 It can be ordered in Canada via the Banner of Truth US website BannerOfTruth.org/US.